Paul Dunstall is one of those guys that knew how to race. But what he knew better was how to make a buck from racing. After he hung up his leathers he looked at all the changes he has made to his own race bike and decided to sell them to the next guy. 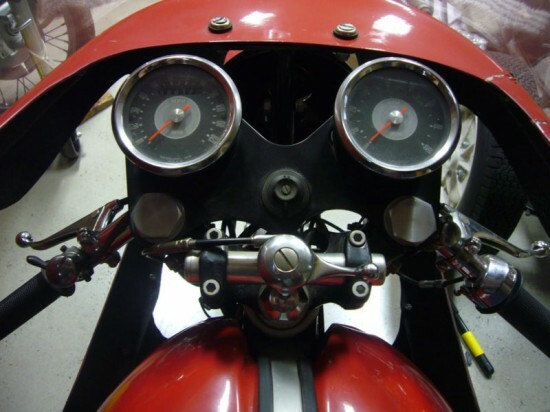 From engine work, fairings, exhaust, tanks and seats he made them and offered them to the public. He was not picky on brand either. 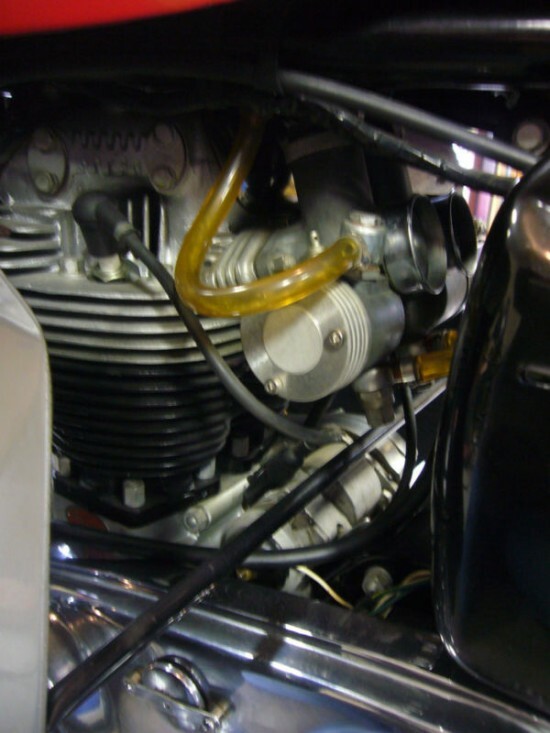 Starting with the British Triumphs and Nortons, then when Japanese bikes started to show their abilities, he produced for them as well. 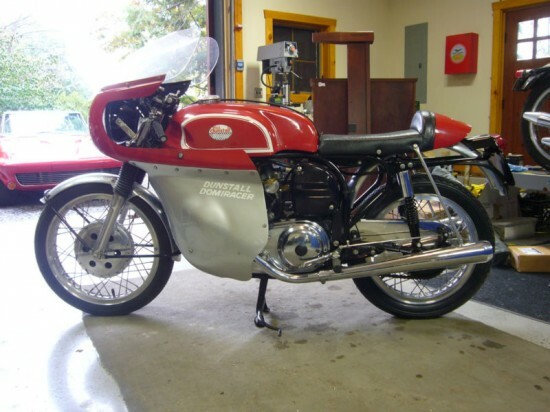 Here is one very nice, fully dressed 1966 Norton Atlas Dunstall. 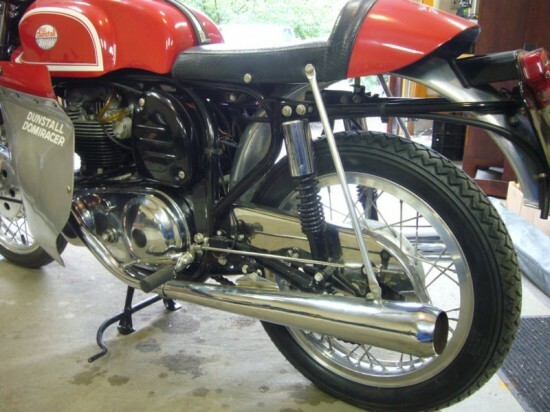 Up for auction is a fully restored Norton Atlas 750, loaded with every imaginable period Dunstall bit. 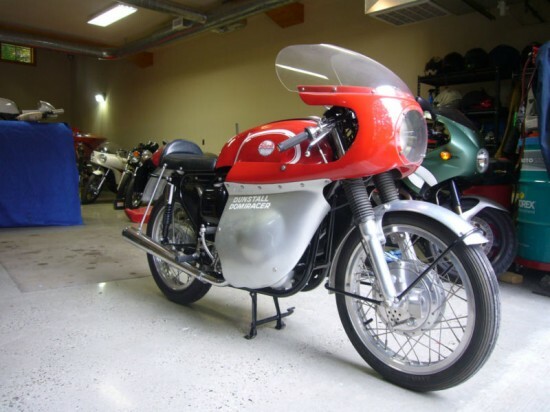 The bike was first imported to Berliner on June 3, 1966 as a “Norton Atlas 750,” according to VMCC records. 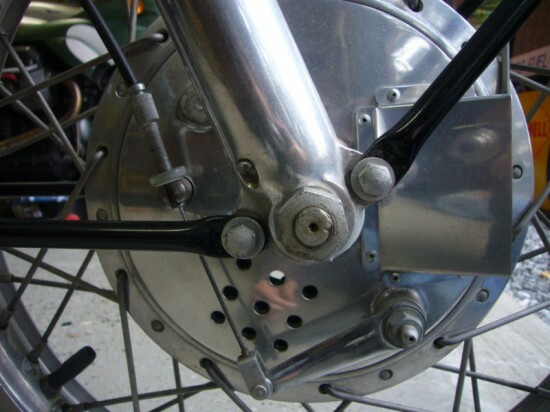 It was restored by a former Norton dealer in the mid-80s as a Dunstall Dominator, with many authentic, period Dunstall parts. The cost to buy and professionally restore a standard/stock-equipped Atlas is more than the Buy-It-Now. To duplicate this bike is no doubt quite a bit more, assuming you had the time and could find all the Dunstall parts presented here. And if you don’t like the Dunstall cosmetics (fairing, tank and seat) then simply remove the fairing and replace the tank and seat with readily-available Manx-inspired or stock pieces for a cafe’d or more traditional look. The two photos showing this bike with a stock Atlas tank and seat, and Gold Star silencers, are for illustration purposes only; these parts are not included in the auction, but I may be willing to sell them separately. 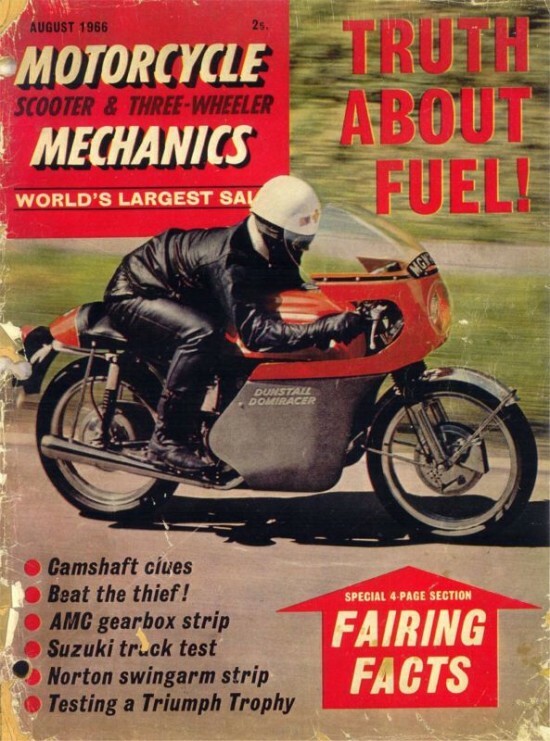 The Motorcycle Mechanics magazine cover photo is also just to illustrate how close this bike is to the real, period Dunstall machine.